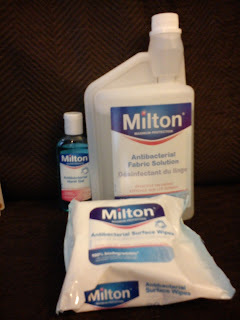 I recently received some Milton antibacterial products to review - Milton Antibacterial Surface Wipes, Milton Antibacterial Fabric Solution and Milton Antibacterial Hand Gel. Milton Antibacterial Hand Gel - Our family are regular users of hand gel anyway, so we were looking forward to trying this. When using it, I've noticed it has a very strong smell - it smells like it can kill germs, if you get my meaning? 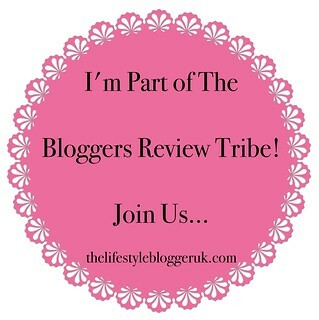 It's easy to use and it's quite small, so it fits in your bag or pocket easily to carry around when out and about. The only thing about it that I didn't like quite so much as others I have used, is that it is very runny - unlike other gels I have used that are thick gels, this one was too easy to squeeze out that bit too much onto your hands and spill some as you do it. On the other, I found that this left my hands feeling soft and cared for after use compared to others which didn't. Milton Antibacterial Fabric Solution - If, like me, you don't normally think about it, a product like this actually gets you thinking... Normal soap powder/tablets don't get rid of the germs (bacteria/fungi) in your clothes - it simply gets them clean - and that is two different things. You add this fabric solution to your wash (in the bleach or condition compartment of your washing machine as well as your normal soap powder and fabric softener if you use it) and it actually works to kill germs on your clothes. This is quite a difficult item to review - because there are no visible results. I mean you wash clothes, you can see the soap powder has done its job and got rid of the dirt, but as you can't see the germs on your clothes, there's no way to see if after using the fabric solution, that they have gone. The fabric solution is easy to use - you add 20ml to your normal wash - you take off the lid, squeeze it and it fills it up - it's really quick and easy to use. It's strong smelling, but that smell does not transfer onto your clothes. It doesn't affect your colours in any way. You can use it any wash, including cold wash for it to be effective. Milton Antibacterial Surface Wipes - Well, for starters this is a good size pack of wipes. They clean well when wiping surfaces, so I assume they equally get rid of germs well, but as with the fabric solution, it is difficult to ascertain just how well a job it is doing, because you can't actually see the germs unlike the dirt which you can see. Milton products can be found in the baby aisle at pharmacies and supermarkets, or you can buy online from www.milton-tm.com. The Milton Antibacterial Hand Gel retails at £2.19 for 100ml, or £5.21 for 450ml. The Milton Antibacterial Fabric Solution retails at £5.73 for 1l. The Milton Antibacterial Surface Wipes retail at £2.29 per pack. I love milton products, used them since my daughter was a baby!